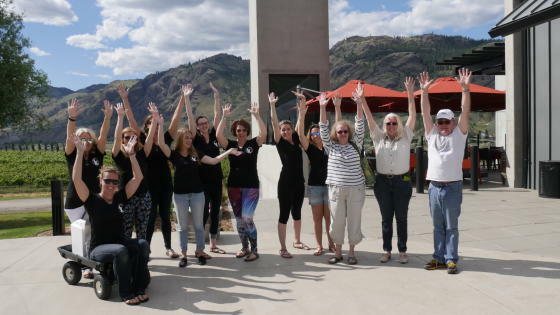 When Minnesotans Richard and Jackie pulled into the Kamloops Visitor Centre, they never expected that they would be asked on the spot to join the Tourism Kamloops staff on a wine tour with Tasteful Excursions. Within 5 minutes of walking into the Visitor Centre for assistance in finding accommodation, they had said YES to our challenge and were loaded up on a Kamloops adventure with us. That&apos;s what the #yka360 challenge is all about... being Boldly Unscripted! A big thanks to the partners who helped us provide this unscripted adventure to our visitors from Minnesota!